The dog’s popularity as a pet is increasing constantly. So, too, is controversy about which aspects of dog behavior are acceptable to the general public, and which are not. More and more restrictions are being placed on dog owners, and more and more fines are being imposed on them by the authorities for the bad behavior of their unruly charges. All of these factors are reinforcing this important message: as dog owners, we have to behave responsibly if we want to continue enjoying the pleasure of these creatures’ company. As modern-day living and its constant pressures make ever greater demands, dog owners are finding that they have less and less time to spend on training and exercising their dogs. 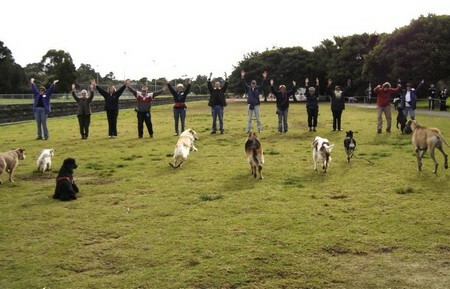 When they do manage to get out with their undisciplined dogs, their destination will most often be a public place such as a recreation park or a playing field. When the untrained dog is unleashed for a run, the trouble starts. If it tries to attack another dog or a child, its owner has very little chance of stopping it from viciously mauling its victim. If we want to continue to enjoy our dogs and to permit them some freedom, then it is vital that we should be able to call them back to our side at any time. It is also vital that they respond immediately regardless of what is happening around them. 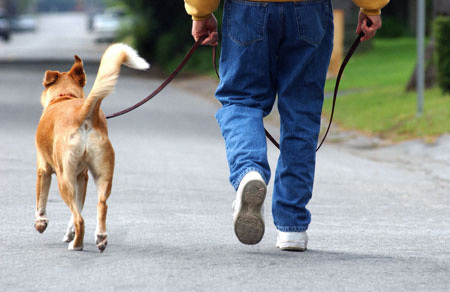 If you want to train your dog to come back to you as soon as you call it, whether it is on or off the lead, there is a very important principle to follow. It is this: Do not just keep repeating your command to your dog over and over. Give the command, but then follow it quickly with the one-word reprimand: “Rover, come, Bah, Rover come, Bah,” not “Rover, come, Rover, come, Rover, come … .” If you always reprimand immediately after the command, your dog will learn to respond immediately, rather than waiting until it feels like it. If you are consistent at this stage, this will pay dividends later, when you may be in a situation where you require your dog to obey you instantly. If your dog responds immediately, praise it lavishly. If it refuses to come immediately, growl “Bah!” or “Bad!” Then, if it still refuses to respond, throw the reprimand chain as close to it as possible. If there is a tree near the dog, throw the chain so that it hits the tree before falling. Keep throwing the chain and reprimanding; each time, pick up the chain and throw it back, and do this several times until the dog responds. Remember, you have the lightweight cord as a backup if your dog pays no attention at all to you. Whenever the dog heads toward you, crouch low and speak invitingly to it. The lower asyou are, the less dominating you will seem to your dog, and the more likely it will be to come. Repeat this exercise several times, making sure you are consistent: each time you do it, reprimand immediately after a command, and praise your dog as soon as it responds correctly.